For this card I have used a 17 cms by 17 cms white square card. On this card I first used a flower decorated black felt pad. 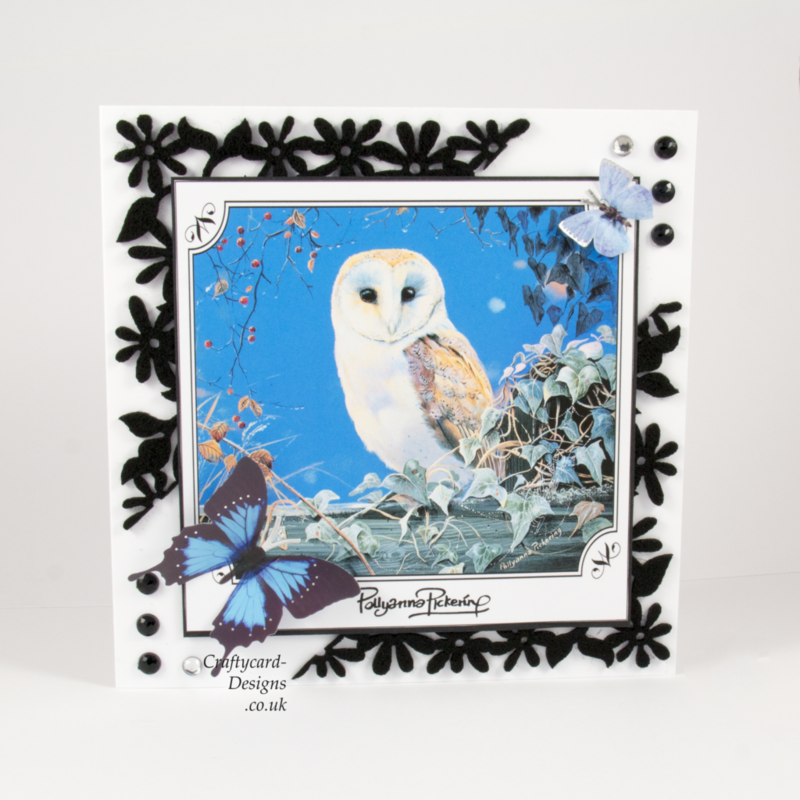 I then printed off the owl picture from the dvd-rom and matted and layered it on to black card. Putting this then on to the black felt pad. I added a few black and clear gems to the corner of the card with a couple of blue butterflies.